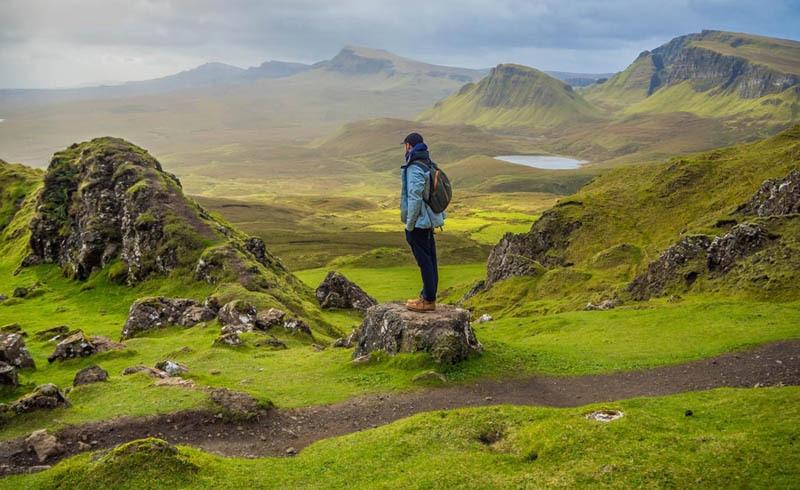 From the fairy pools on the Isle of Skye, to the Northern Lights in Caithness, to the rugged peaks of Glencoe, the vast wildness of the Scottish Highlands offers endless opportunities for exploration. Get ready to book a ticket to Inverness for your next adventure. 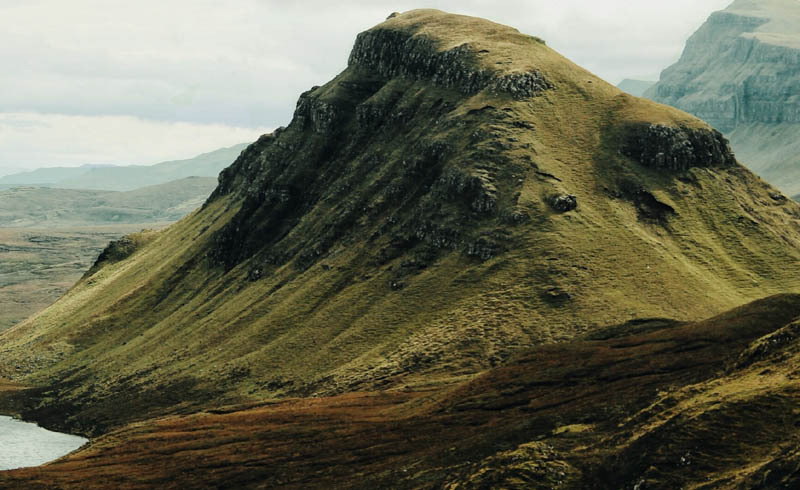 Last spring, I embarked on a pilgrimage to the Scottish Highlands to pay homage to my family’s history—and to explore the pristine and rugged land that was practically built for adventure travel. One morning, I visited Urquhart Castle, the ancestral seat of my forebears, Clan Grant. Clan Grant presided over the dramatic cliffs overlooking the eerily still, dark waters of Loch Ness, home to the fabled monster. Hundreds of years later, the once-formidable fortress consists of crumbling towers and damp prison cells: the detritus of medieval battles. My ancestors had burned down their castle to prevent it from falling under Jacobite rule. Generations later, we were there to visit the ruins. The popularity of shows such as Outlander has made the destination more in vogue in recent years, and there has never been a better time to visit. This past summer, Norwegian Air reduced the cost of flights to Edinburgh, and the snowfall this past winter was amongst the highest recorded in years. Here’s how you can fill your time with outdoor adventure in the Highlands, regardless of the season. Winter travelers can immerse themselves in the rugged beauty of the mountains by skiing in Glencoe (I recommend the Plateau Café for après) or snowshoeing at Nevis Range Mountain Resort. The colder months also offer the best opportunities to see wildlife: book a guided wildlife safari in the West Highlands and search for Britain’s largest wild animal, the famous Red Deer. For those looking to the stars, Scotland is amongst the best places on earth to see the Northern Lights­—a bucket list site for many travelers. Late autumn and winter are the best seasons to witness their fluorescent displays, memorably captured this September in Caithness. Even though the weather warms up in the spring and summer, don’t be surprised—or disappointed—if it’s overcast when you arrive. When dark clouds gathered overhead the first morning of my trip, the tour guide relayed to his guests an old Scottish proverb: today's rain is tomorrow's whisky. A little light rain shouldn’t prevent you from taking a kayak excursion on Loch Morlich, or hiking the moorlands of Cairgnorm National Park. For more intrepid adventurers, mountain biking in Monadhliath provides unforgettable views. The warmer months are also an ideal time to visit some natural attractions rooted deep in Scottish legend. The waterfalls and freshwater ponds in the Isle of Skye’s Fairy Pools are said to be cold year-round because of evil and vindictive fairies that live in the water’s depths. At The Five Sisters of Kintail mountain range in Glen Shiel the five peaks represent five sisters who waited endlessly for their princes to arrive, and after many years—according to legend—a witch doctor cast a spell on the sisters to preserve their beauty eternally. There’s no wrong time of year to book your flight and head north for lochs and lochs of fun. Have your own favorite destination in the Highlands? Let us know your favorite spots for adventure travel in the comments!